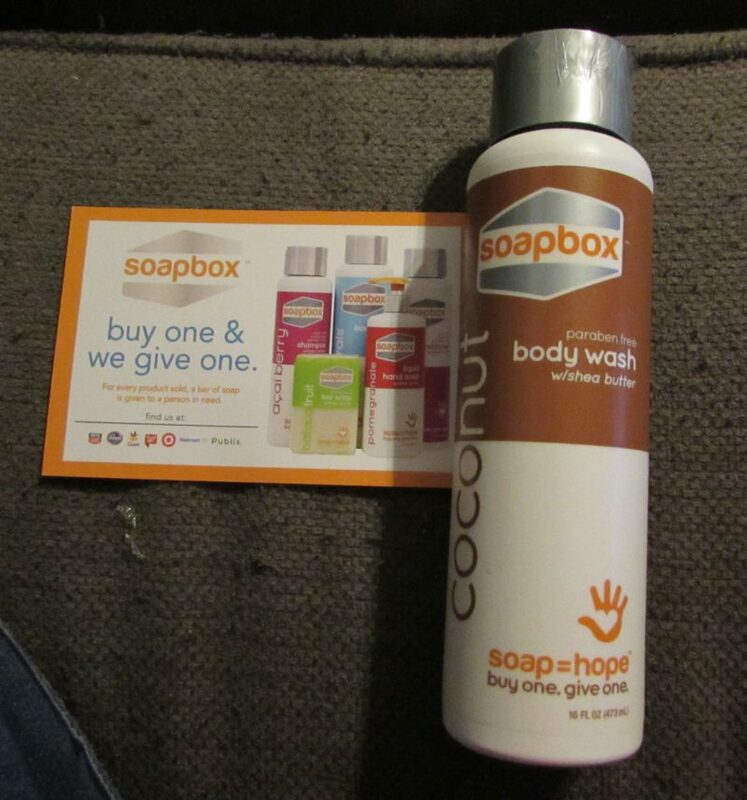 I received the mentioned product from SoapBox Soaps in exchange for an honest review. The opinions contained within this post are mine and may vary from the opinions of others. SoapBox Soaps was founded in 2010 with a simple mission: to empower people to change the world through everyday, quality purchases. Our founder, David Simnick, made the first batch of soap in his college apartment kitchen while still at American University. Six years later our products are in retailers across the nation and over one million donations have been made! Simnick was inspired to start SoapBox after interning for both non-profit and for profit companies during college and joining a USAID contractor post college. The experiences led him to realize that hygiene aid wasn’t being implemented to its fullest potential and wasn’t being paired with essential items like soap. That’s when it hit him: combine a love of entrepreneurship with the need of hygiene products. He called up his best friend and told him the idea, SoapBox Soaps was born, and the rest is in the suds! I love all things coconut. Why not do something to feel tropical after a hard day at the office (or in my case a hard day of working at home) when you just want to get away for a few moments in the shower, or even better a nice hot bath if you have time. The scent of this soap is alluring. I absolutely love it. I also love that the bottle seems durable, it is 20 oz and costs $5.99. Their shipping is $4.99 flat no matter how much you order too, which is a great thing if you find a scent that you like and want to stock up. I also used the store locator and found that my local WalMart also carries this amazing soap. The lather of this body wash is great and I feel like it just keeps making soap the more that I use the loofah. The scent also doesn’t die away when washing either like some soaps. If you are looking for a scented body wash that is strong, but not over powering and gets you clean then this is the one. Help a great cause, get an escape within your own home and come out squeaky clean with SoapBox Soaps!